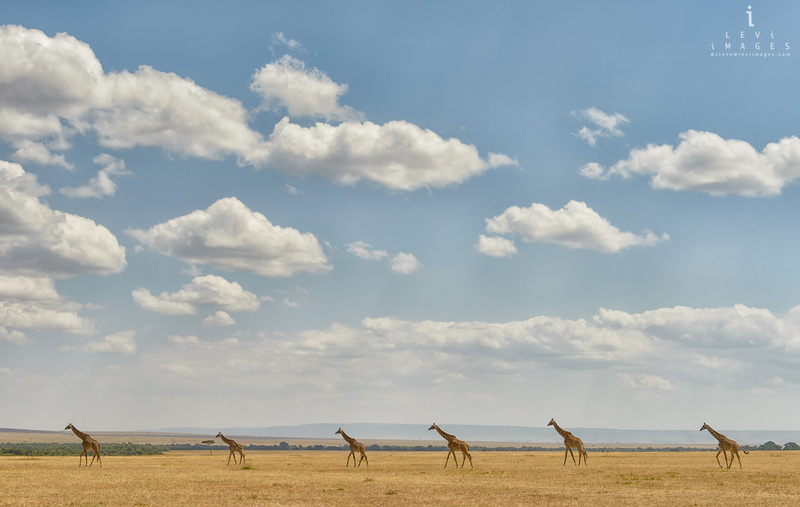 Mara North Conservancy, Kenya, While driving back to camp, I noticed a tower of giraffes on the horizon. At first, they were in chaotic configurations, mostly with their backs to us. After a while, they started to form a line. I asked the driver if we could, respectfully, circle around so as to get the right perspective. The driver obliged and on the third try the giraffes obliged as well, spacing themselves perfectly, allowing me to create this image.